Want to save these tips for later? Download your FREE Quick Start Guide to Feeding Giant Breed Puppies here. We have been played, my big dog friends. And today I will set the record straight. If you are a new giant breed puppy owner, you likely have no idea what to do. What food to feed. How much to feed. Or why it matters. You educate yourself, do your best, and trust your gut. You are resourceful. And, as I attempt to tell you what and how much food to feed, and why it matters. I hope you will take this information for what it is. Not as an Expert Guide to Feeding Giant Breed Puppies, but rather a Big Dog Mom’s perspective based on years of experience and research. A Feeding Giant Breed Puppies for Dummies, if you will. With all of us and none of us being the Dummies of course. I am sure to ruffle some feathers with this post, but if you are a regular reader, you know my goal is always to share what I am learning to serve you and your big dogs better. One caveat before we dive in. This post will explore only the aspects of nutrition during the growth period (birth – 12 months) that impact developmental orthopedic diseases (DOD). Outside the scope of this post is the very real and present effect that genetics have on a giant breed puppy’s risk for developing orthopedic issues. I will be exploring genetics in a future post. When compared to smaller breeds, two unique factors about the way they grow make giant breed puppies more prone to skeletal problems. A Mastiff can grow from just under a pound at birth to over well over 150 pounds in a year. That’s a whopping 150-fold increase in size in just 12 months! This rapid growth means the bones must change quickly, a factor that can put them at risk of forming improperly. Osteochondrosis (OC) and osteochondritis dissecans (OCD): Abnormal development of the cartilage on the end of a bone in a joint. OCD is an inflammatory condition that occurs when the diseased cartilage separates from the underlying bone. Hypertrophic osteodystrophy (HOD): disease of the ends of the bones (metaphyses) of growing dogs that occurs between the ages of 2 and 8 months. Also known as canine or skeletal scurvy. Canine Elbow dysplasia CED: Elbow joint developmental disorders that includes OCD of the elbow joint. Hip dysplasia (HD): Disease of the hip joint that fails to develop properly, rubbing and grinding instead of sliding smoothly. This results in deterioration over time and an eventual loss of function of the joint itself. While the research is not definitive on how to prevent gastric dilatation and volvulus (GDV), or bloat, one of the recommendations is to avoid feeding large meals in one sitting (2), with a preference toward several small meals a day. So from the perspective to preventing bloat, more frequent meals makes sense. However, extrapolating this to feeding giant breed puppies can Some will see this and assume then that free feeding, or feeding 3 meals a day for the first year of life (as recommended for most puppies) is preferred for giant breed puppies. Free feeding or feeding too many meals per day for too long leads to excess energy intake (i.e. total calories ingested) and can lead to overeating and obesity as well as ingestion of higher levels of calcium and phosphorus. In addition, excess energy (calories) comes from not only how often you are feeding your giant breed puppy, but what you are feeding him. We will go more in depth on this point in just a minute, but for now I want to address the issue of FAT because it is directly correlated with energy. Consider that there are 4 calories per gram of protein and carbohydrates, but more than double that for fat (9 calories per gram). Feeding a diet that is too calorically dense (high in fat) can make a giant breed puppy grow faster than his bones can accommodate resulting in skeletal abnormalities such as hip dysplasia, OCD, and elbow dysplasia. I get it. You want a big dog. 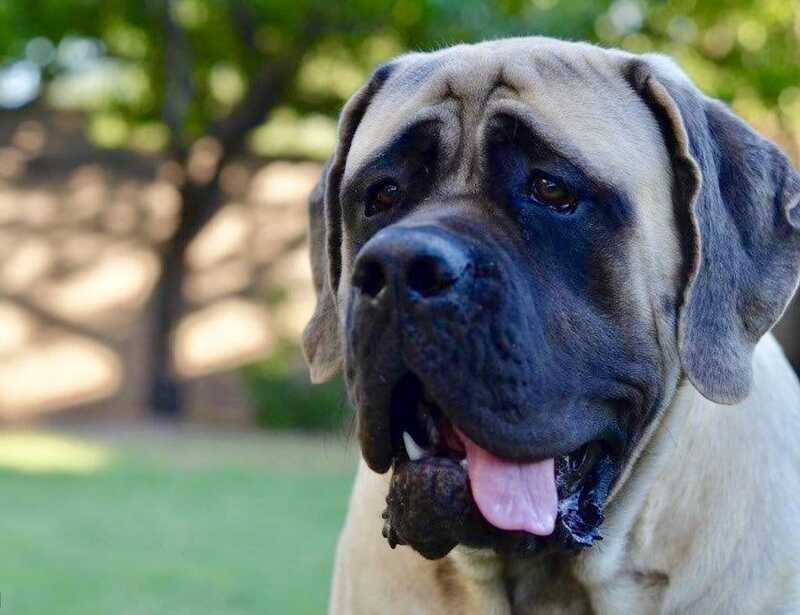 Perhaps you met the sire and dam of your giant breed puppy and you just can’t wait until your puppy is as big and magnificent as his mom and dad. Patience my big dog friend. Your giant breed puppy will become the size he is meant to be based on his genetics, not by how much you feed him at 10 weeks old. What and how much you feed only affects how fast he grows. Put it this way. The only control you have on your puppy’s future size is whether he makes it to adulthood. That’s it. In a race of giant breed puppies, slow and steady will make it to the end and fat ones never win. Keep your puppy trim (no ribs or rolls) and feed 3 meals a day only until your giant breed puppy is 4 months old, then switch to 2 meals per day. Never free feed a giant breed puppy. Ok, I am guilty as charged for believing this one. And I will be honest that I am not entirely convinced this one is 100% myth when it comes to feeding GIANT breed puppies. If we are referring to just kibble, fifteen years ago, commercial diets formulated for canine growth were marketed to all puppies with no distinction or formulation differences based on the puppy’s anticipated mature size. In other words, we didn’t have puppy food formulated for large breed puppies. maximal growth, which we know for our giants is a risk factor for growth disorders. more defined calcium and phosphorus levels specifically for large breed puppies. So here is where I land on all of this. Until there is a GIANT breed puppy formula, I do not recommend feeding giant breed puppies a large breed puppy formula for an entire year. Because I am truly more in favor of a natural, species appropriate diet as I will explain in a minute, I am comfortable making the following recommendation if you are going to feed your giant breed puppy a commercial kibble. If feeding commercial kibble, choose a high quality puppy food for large breed puppies (Energy density between 3.5 to 4.0 kcal/g, with a fat content less than 15%). Switch to an adult formula at around 6-9 months old. Increase the fat content (slightly) of adult kibble until the puppy is a year old to balance out the calcium: energy ratio. THIS one is a BIGGIE, so stop multi-tasking and come back to me. If you are a woman, I’m sure at some point in your life you have heard about the importance of getting enough calcium either through diet or supplementation. Calcium is necessary for strong bones. For dogs however, excessive levels of calcium cause OCD and other bone disorders earlier and with more severe consequences in giant breed puppies. And while not all studies agree, the majority show a strong link between high calcium levels in the diet and bone problems, even when the levels of calories and other nutrients are the same. Giant breed puppies, unlike adult dogs, cannot adequately regulate how much dietary calcium they absorb from the intestinal tract, and therefore can absorb and retain too much calcium leading to skeletal malformations. As such, the optimal range for calcium intake is significantly narrower for giant breeds than for other breeds of dog. Calcium and phosphorus work together and a proper calcium to phosphorus ratio is important for healthy bones and joints. The calcium content of your giant breed puppy’s food should be approximately 1%, with phosphorus levels at approximately 0.8% (DMB), with an ideal calcium-to-phosphorus ratio of 1.2:1. Large breed pups eating balanced diets containing recommended amounts of calcium should not be given calcium supplements. 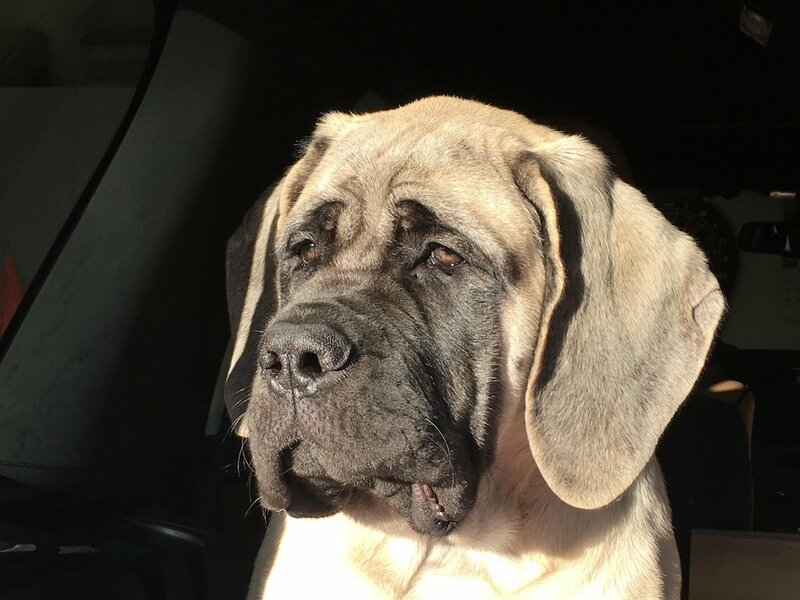 In addition, while more research is needed into how dietary levels of vitamin D3 may affect the development of developmental orthopedic disease in giant breed puppies, it is clear that it plays an important role. There you have it. This one is probably one of the most widespread of all myths as it relates to feeding giant breed puppies. Breeders, veterinarians, and millions of well-meaning big dog owners us, believe this myth. In fact, even during my recent discussions with Junior’s neurologist, the role of protein was mentioned in relation to his raw diet. The fact of the matter is this. Proteins are the basic building blocks of the body and contribute to healthy muscle development. Growing puppies need more protein than adult dogs. However, somewhere along the line the protein content of dry dog food plummeted to the new low of 18-22% for adults and large breed puppies. Keep in mind, this amount is the MINIMUM legally permitted by American Association Feed Control Officials (AAFCO). NOT the optimum amount. Because protein is expensive, certainly animal sourced protein is, a few decades ago dry food companies started putting out there that protein was at fault for a number of “issues” and that carbohydrates, such as wheat and corn, (the least expensive foods on the planet) make a good filler and alternative to animal source protein. Interestingly, wheat and corn now make up 50% of dry dog food. Debbie Phillips-Donaldson, editor-in-chief of Petfood Industry, argues in this post that the trend toward dog foods with higher protein levels are “unsustainable.” From turning green grass yellow (oh the horror! ), to pet obesity when “pet owners overfeed them” (duh), she asserts that more research is needed on how much protein is TOO much for our dogs. If this editorial wasn’t so disturbing, it would be hysterical. It is clear to me why protein has been under attack by pet food manufacturers and why we are led to believe we should be feeding our dogs less and less of it. Let me boil this down. Pet food manufacturers make more money when they use low quality protein sources like peas and corn, versus animal sources like beef and lamb. Conspiratorial? Perhaps. But quite honestly, I do not believe I am far off on this one. Whether you are feeding raw, cooked or commercial kibble, it is essential for your giant breed puppy to be fed protein. High quality sources of protein. Because no evidence exists to link high protein intake to skeletal disease in large breed dogs, I want you to focus on quality, not quantity. Focus on quality not quantity of protein. Natural raw sources of animal-based protein are preferred over cooked or baked. Avoid high carbohydrate, low quality non-animal sourced proteins such as peas and corn. Look, I get that a raw diet is not for everyone. However, to suggest that raw diets are “dangerous” or “unhealthy” for giant breed puppies, is just false. I am not here to convince you to feed your giant breed puppy a raw diet. But I would like to address a couple things as it relates to the myth that raw diets are dangerous for giant breed puppies. 1. Raw diets ARE high in protein. The raw diet itself AS FED is not high in protein. It is approximately 70-80% moisture, and roughly 17-23% protein. If all the moisture were removed, it would be very high in protein on a “dry matter” basis.. But, as fed, it is not. Is a raw diet too high in protein for dogs? The answer is no: a raw diet is high in protein, but it is bioavailable, highly digestible protein that is easy for dogs’ bodies to break down into amino acids. 2. Raw Diets are rich, so do not over feed. I use several methods to ensure my dogs are getting the right amount of food each day. 3. Balance is CRITICAL from day 1 for giant breed puppies. Some raw feeders recommend starting puppies on a diet of just chicken to start. And over several weeks to a month or more, slowly add in other proteins and eventually organ. This method may be fine for a Beagle, but it can lead to devastating consequences in a rapidly growing Mastiff or Great Dane puppy. Giant breed puppies require a balanced raw diet from day 1. Balance is defined as the proper amounts of meat, bone, and organ from a variety of animal protein sources. Balance from day 1. Balance is defined as proper amounts of meat, bone, and organ from a variety of animal protein sources. Limit poultry intake due to the high level of omega-6 fatty acids and high calcium-to-phosphorus ratio. Lauten SD. Nutritional risks to large-breed dogs: from weaning to the geriatric years. Vet Clin North Am Small Anim Pract. 2006 Nov;36(6):1345-59. Jerold S. Bell, DVM. Risk Factors for Canine Bloat. Tufts’ Canine and Feline Breeding and Genetics Conference, 2003. Calcium, Phosphorus, and the “Balanced Diet” Demystified. True Carnivores. 2017. Giant Expectations: Nutrition for the Large-Breed Puppy. Kane, Ed, PhD. Developmental orthopedic disease in large-breed puppies. DVM360 Magazine. 2013.